So you want to build big arms do you? That’s a great goal to have. Having a big pair of arms (biceps and triceps) not only display your level of muscularity and leanness but they command the respect and attention of those around you. Women love a great set of arms, and men try tirelessly to build them. And unlike nearly every other body part, your arms are often fully exposed and are generally the first thing people notice about a person’s physique. In terms of our bodies, it’s our arms that make the first impression. Personally, when I started out strength training, I wanted my tone arms like my favorite physique models, like Obi Obadike and Rob Riches. Their arms were well defined, muscular but not overly sized to the point that I felt I could not achieve a similar arm build. I started my quest for bigger arms with first slimming down and shedding excess body fat. Over time, I’ve managed to build my arms to a point where they not only look full and balanced but lean and vascular. I’ve made a lot of training mistakes… but I’ve learned from all my mistakes so you can build big arms faster than I did. I now know what works and I truly knows what doesn’t work. You see, I didn’t grow up as an athlete and did not join a gym until I was 31-years old. But, once I did join the gym, I went “all in” and eventually built a Musclemania World Champion worthy physique. I’m going to give you a look at some personal techniques I use to accelerate growth and build muscular arms that are full on tank top worthy. The most important thing you have to understand is that big arms do not come over night. I’ve seen many people, including pro fitness athletes, try rush the process of building arm size only to injure themselves (torn biceps). Muscle building is a slow and arduous process requiring a huge amount of discipline, time and effort. With the exception of new muscle growth in the first year or two in true strength training, you simply don’t show up to the gym a couple of times a week, pump a few reps of barbell curls, leave and expect to build 20 inch arms. It doesn’t work that way, it never has and never will. Fortunately for you, I’m going to show you exactly how to do it, so you don’t have to worry testing what works/doesn’t work. You will only have to adjust your nutrients and training schedule to match your overall goals. The most important things I have learned when I set out to build big arms is to incorporate “Growth Phases”. Our bodies don’t always grow in a linear, predictable fashion. They also don’t grow dramatically or consistently. They grow in phases as I like to term it, and if you can understand this process, you will be well on your way to building big, muscular arms that also stand the test of time. Let’s say you have 12 inch arms now. Don’t expect to get 20 inch arms after doing the following 12 week workout program. It simply just doesn’t work that way. What you will do, is grow your arms by 1/2 an inch or maybe ¾ of an inch after completing this program. Think of this program as one phase. Your ultimate goal after completing this 12 week program is to build another half an inch to one inch to your arms. You rest/de-load for about one week to give your body a break and repeat this phase and add another 1/2 an inch to your arms, adjusting for those exercises and nutrition that works best for you. All exercises, do 3-5 sets. Take 60 seconds of rest between sets and increase the weight a bit each set in order to hit your recommended reps.
As you can see, the weight training program is very straight forward. However, what I’m about to show you will make all the difference in the world and it’s something that no one really tells you about. I employ hugely beneficial technique about improving muscle development. This something is called Pyramid Training. Simply put, Pyramid Training is a safe an effective way to overload your muscle, forcing them to fatigue with appropriate amounts of weight, and ultimately forcing them to grow. It’s called Pyramid because you start your sets with lighter weight, more reps, and end your sets with heavier weight and less reps.
For example, I start Day 1 Barbell Curls with a light weight, say 105 lbs. I do a pretty hard set of 12 reps, followed by resting for 60 seconds. I then go up to 135 pounds and 10 reps. For my third set, I can usually keep good form and tension on the muscle with 145-150 pounds for 8 or so reps. My last set will be either 105 or 125 pounds depending on how I feel that particular workout. I preach quality so some days I do chose the lighter weight but keep my form perfect. Pyramid Training can be applied not only to arm exercises, but for any and every exercise. Biceps: Preacher Curls with EZ Bar, Single Arm Concentration Curls, Straight Bar Cable Curls (to change when the tension happens on my biceps). Triceps: Overhead Dumbbell Extension (I personally like going heavy with two hands at a time), traditional weighted dips, machine triceps extensions (many times I have to do these one arm at a time to keep pressure off of my shoulders). You’ll see in this program that I train arms directly once a week. With chest, back and shoulders, I get a “supplemental” arm workout each week as well. I find that the recovery process with a program like this is just better. 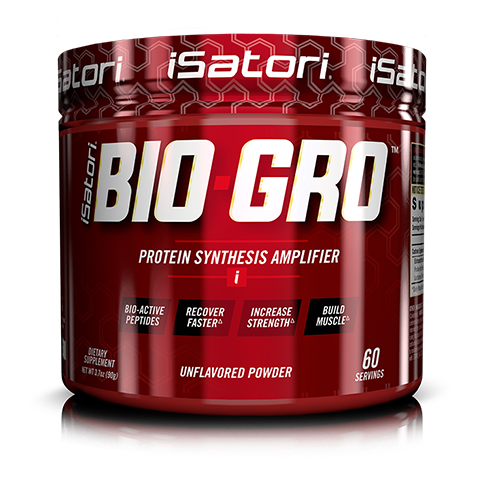 I always like to recover from hard workouts with protein and BIO-GRO. 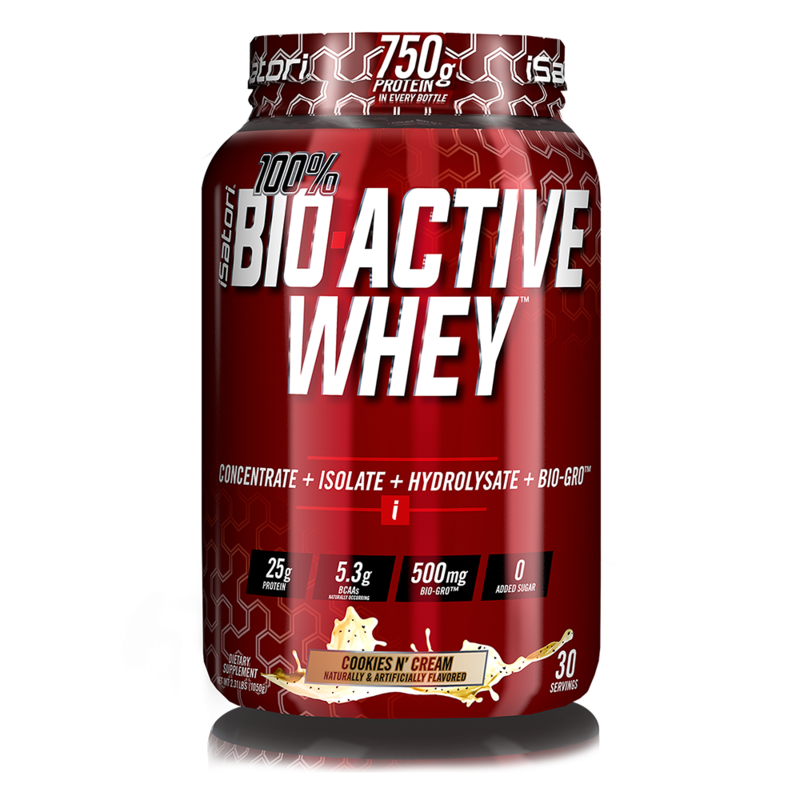 I simply bring a shaker with a rounded scoop of 100% BIO-ACTIVE WHEY and 2 scoops of BIO-GRO in it and then just add water at the gym. I pretty much have this right after training has finished when my body is looking for protein to recover and grow with. I like MORPH XTREME as my pre-workout because it not only has great energy and focus components, but creatine and branched chain amino acids as well to increase strength and decrease muscle breakdown. I top off my entire program with a little more than a gram of protein for each pound of my body weight for maximum recovery and growth. I have found this to be crucial for maximum muscle growth and I’m sure it will work for you as well. Learn more about Mike's training techniques here.